Once again, my memory banks spill into my research as I recall my favorite haunt of childhood days, the Escolta. I thought I had just about exhausted what little I recall of that incredible street of old when I remembered one store that still stands out in my mind, the Estrella del Norte. The store I remember commanded an important corner at the foot of Jones Bridge in Plaza Moraga. As they say in retail, “Location is everything !” What I didn’t know back then was how long that store had been a part of Manila’s history and of course, that’s the story I will tell you here. We need to go back to a trading company founded in 1870s by the Levy brothers – Adolphe, Charles and Raphael. The brothers were born in the Alsace-Lorraine region in France. Their mother, Luise Blum Levy, urged the boys to leave their home in Marckolsheim to avoid the onslaught of the Franco-Prussian war of 1870. Splitting up in Paris, Raphael sets up a buying office there as Adolph and Charles left for new opportunities in America. After failing in various businesses in New York and San Francisco, the brothers Levy decided to try their luck in the Spanish colony of the Philippines. They landed in Manila in 1873 after an arduous six-month journey from San Francisco. They brought five crates of religious medals, statues, gold chains, and gilt eyeglass frames they had been unable to sell in California. 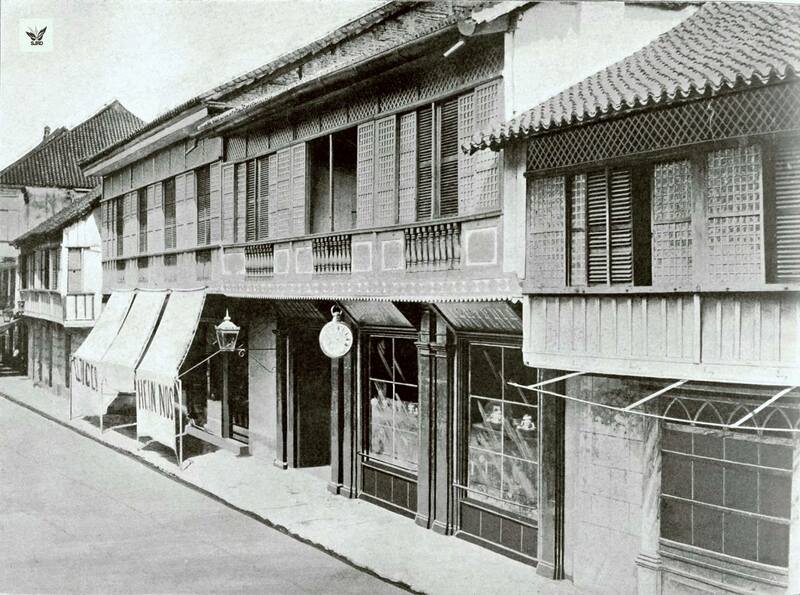 They opened their first store in Iloilo City on Calle Real and became successful mostly due to the thriving local economy spurred on by the sale of sugar cane. They called it “La Estrella del Norte” (Star of the North). 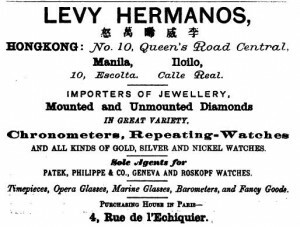 On the left is an 1894 listing in a commercial directory of the Philippines of La Estrella del Norte in Iloilo. 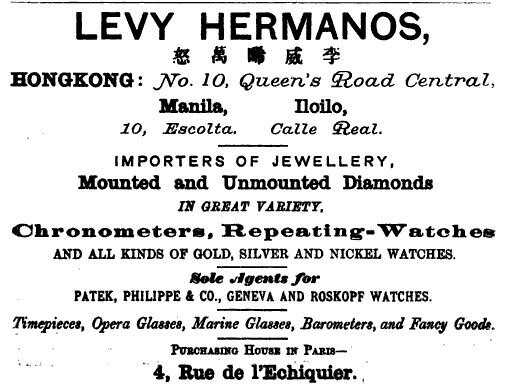 The Levy Hermanos were quite active in retail and particularly watchmaking and jewelry; establishing branches in Hong Kong, Singapore, New York, including their buying office in Paris. Another store was added in Manila at #10 Escolta. The storefront faced one of the most exclusive shopping streets of its day. This photo shows the original Estrella del Norte with the hanging clock. 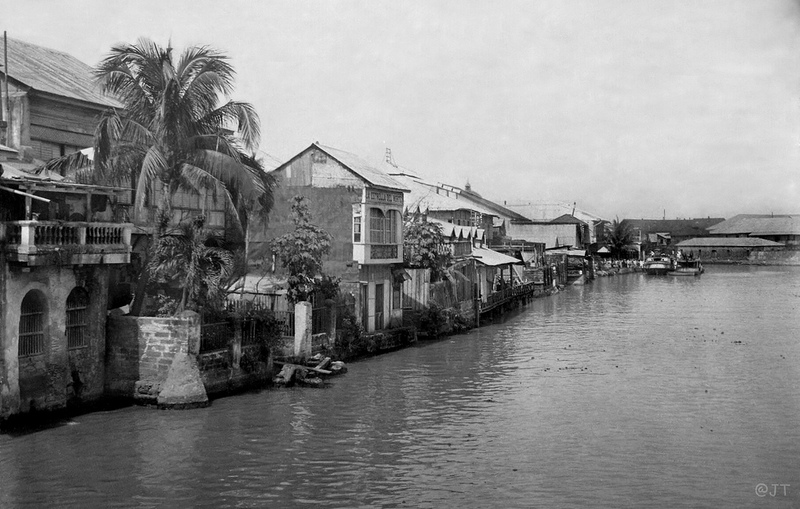 The photo above taken from the Bridge of Spain, shows the Pasig River looking eastward and on the north bank, the sign La Estrella del Norte above the double arched windows. 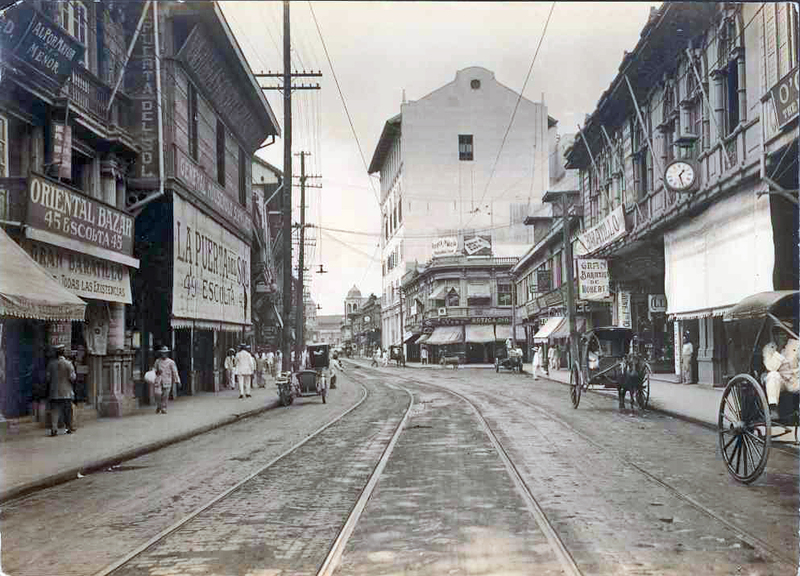 Above, the Escolta around 1910. 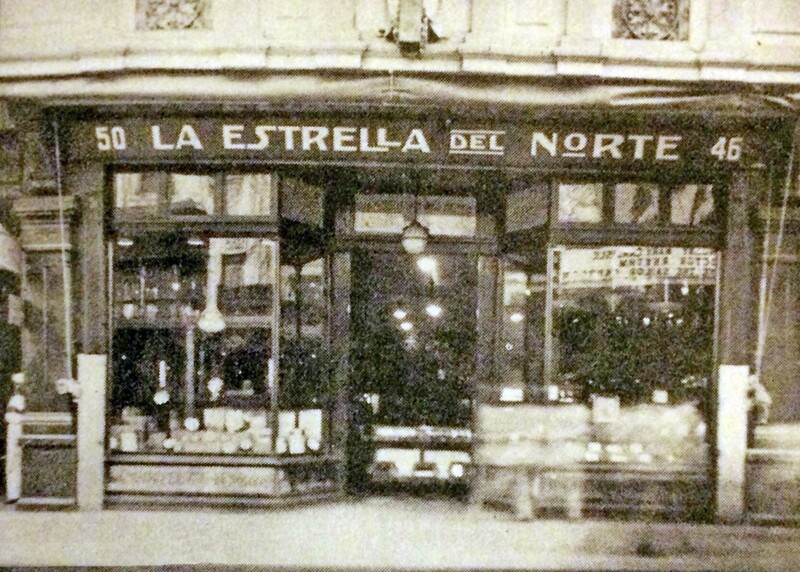 The Estrella del Norte store is on the right under the awning and clock. Note: the Oriental Bazar is located at #45 which should make the location across the street at #46 correct. 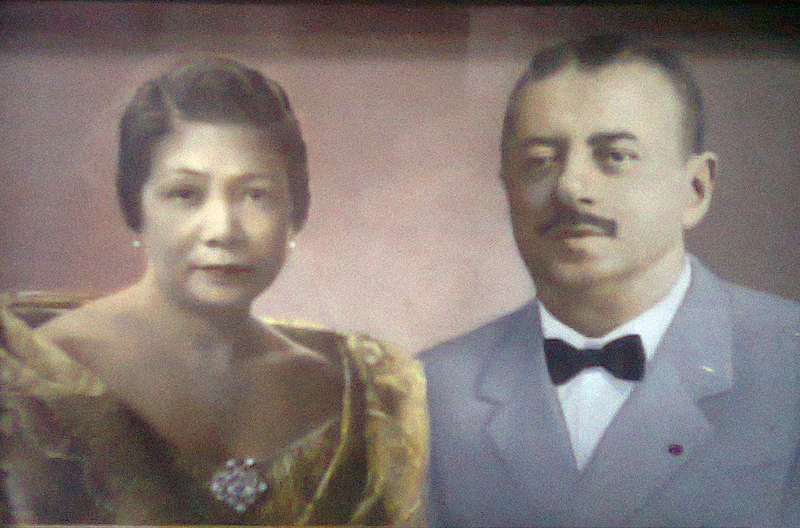 Adolphe was succeeded by one of his employees and possible relative, Charles Weill, whose brothers Abraham, managed the Iloilo store and Albert, managed the Hong Kong store. La Estrella del Norte began to diversify. As early as 1889, the company introduced the first bicycle, in 1894 the first phonograph, and in 1899 the first moving picture machine. 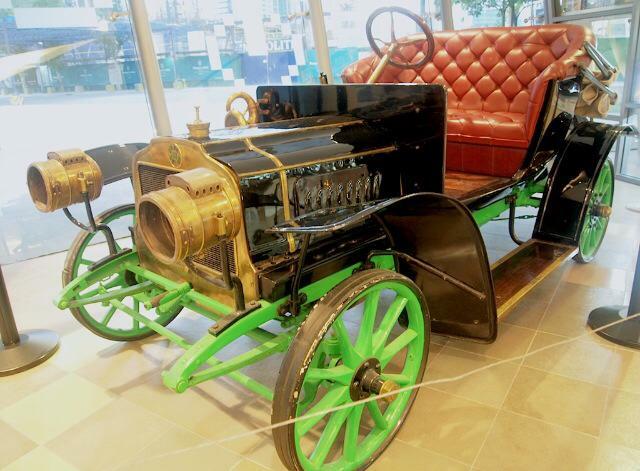 In 1904, they even brought the first automobile ever seen by Philippine society. 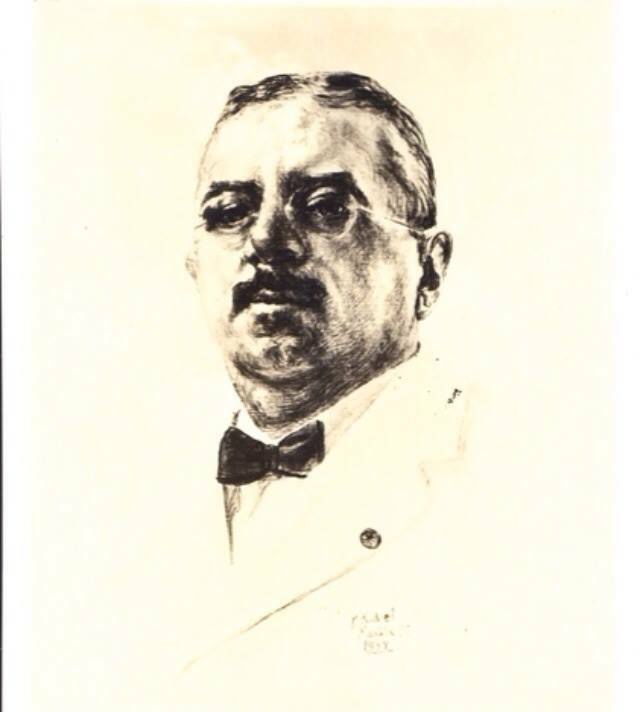 In 1909, Leopold Kahn, who was also from the Alsace region, joined the firm. He would eventually become the President & General Manager of La Estrella del Norte. Under his guidance, the firm became even more successful and was the largest jewelry store in the Philippines which included a new branch opened in Lipa, Batangas. 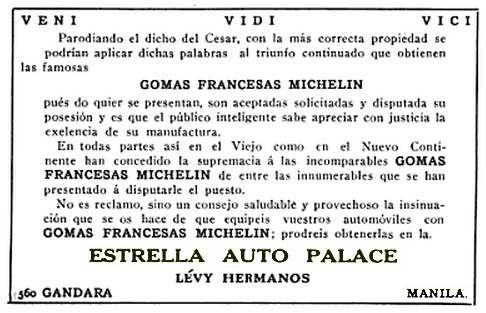 In his first year, Leopold Kahn established a separate automobile department under the name of Estrella Auto Palace at 536 Calle Gandara offering both sales and service. Leopold was a hands-on entrepreneur, always thinking of the next best thing. 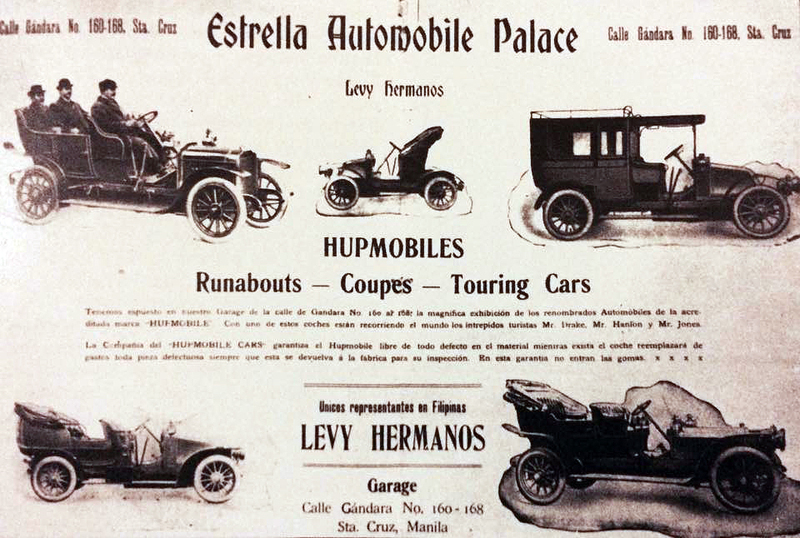 He had secured the rights to sell the Hupmobile in 1909 which became quite popular among the Americans living in Manila, although with more Filipinos acquiring jobs with the Insular government and proliferation of businesses in Manila, the popularity of having an automobile proved to be a boon for the dealership. 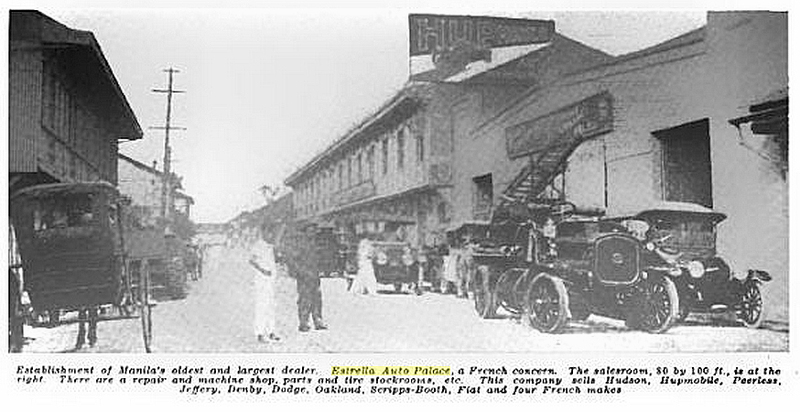 Their agency included nearly a dozen cars, Hudson, Hupmobile, Peerless, Federal truck, Denby truck, Dodge, Jeffery, Scripps-Booth and Oakland plus a line of European cars consisting of Fiat, Panhard, Renault, Delahaye and Brasier. 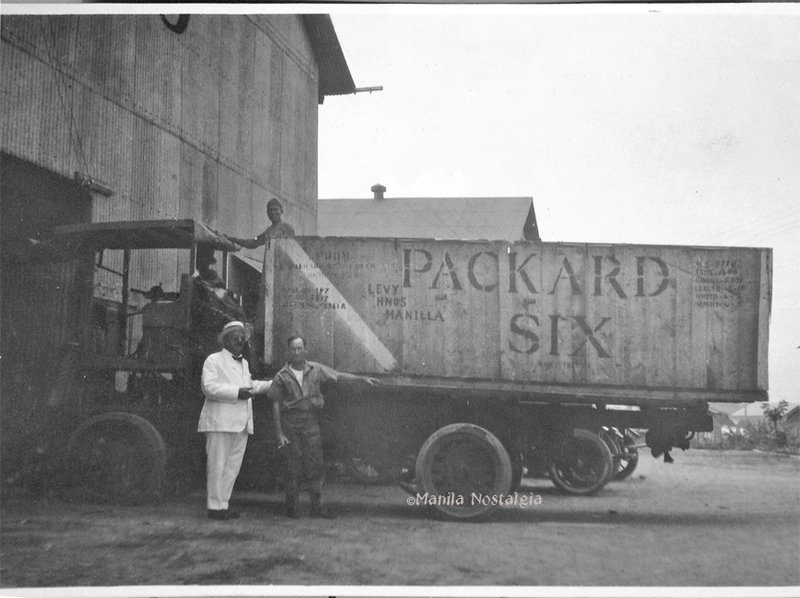 Below, Leopold Kahn taking delivery of a new Packard in 1929. 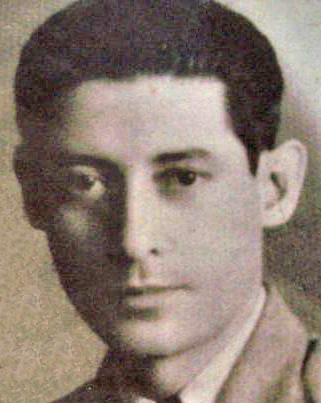 Leopold Kahn married a woman from Surigao, Agripina Villarosa, who bore him five children. When she died, he married her sister, Anacoreta, who bore him eight children. 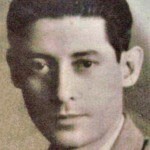 Two of his children, Ernest and Raul, became successful businessmen too. Kahn was also quite active in the Jewish community and used the office at La Estrella del Norte during the High Holiday services until the first synagogue was built in 1919, mostly due to his efforts and other distinguished businessmen such as Emil Bachrach. Levy & Blum’s company headquarters was located on 345 Echague. It served as the import office for the Estrella del Norte retail operations. 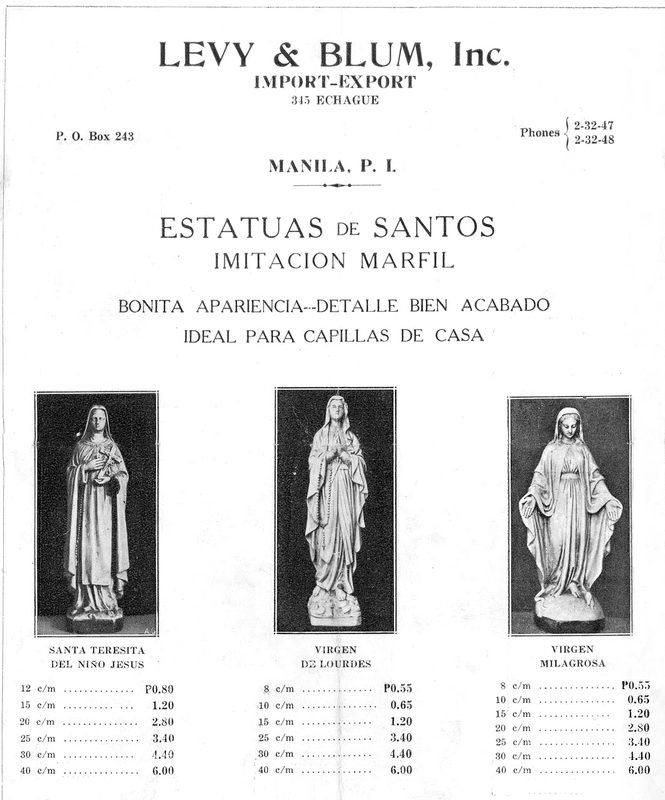 It also offered regularly issued catalogs featuring items of interest to Filipinos. 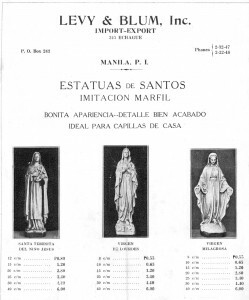 This 1930s catalog features an assemblage of imported sacred statues, of different sizes, materials and prices to appeal to a diverse market.After the war, it was renamed Oceanic Commercial Inc. opening a retail jewelry and drug store on the Escolta. 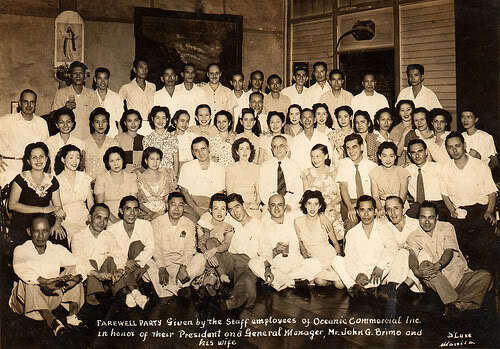 The caption in the photo below reads, “Farewell party given by the staff employees of Oceanic Commercial Inc. in honor of their President and General Manager, Mr. John G. Brimo and his wife.” No date given but I would guess this was taken in the Sixties. The Paris office continued to supply La Estrella del Norte with the finest in French jewelry, silverplate and perfumes. The Estraco’s wholesale department offered a complete line of pharmaceutical products from France, covering the lines of Pharacologie Generale, Laboratorie LeBrun, and the Laboratorie Theraplix. 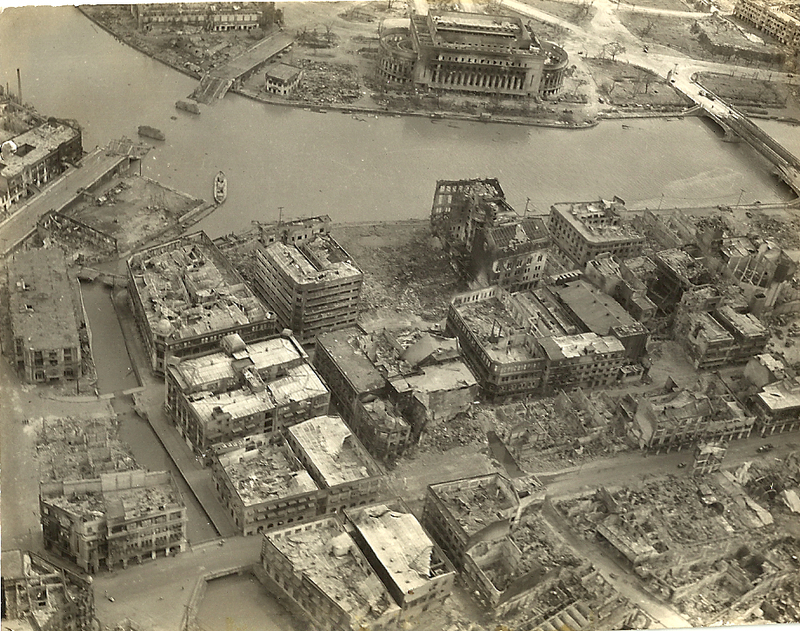 After the Battle of Manila, the city lay in ruins. 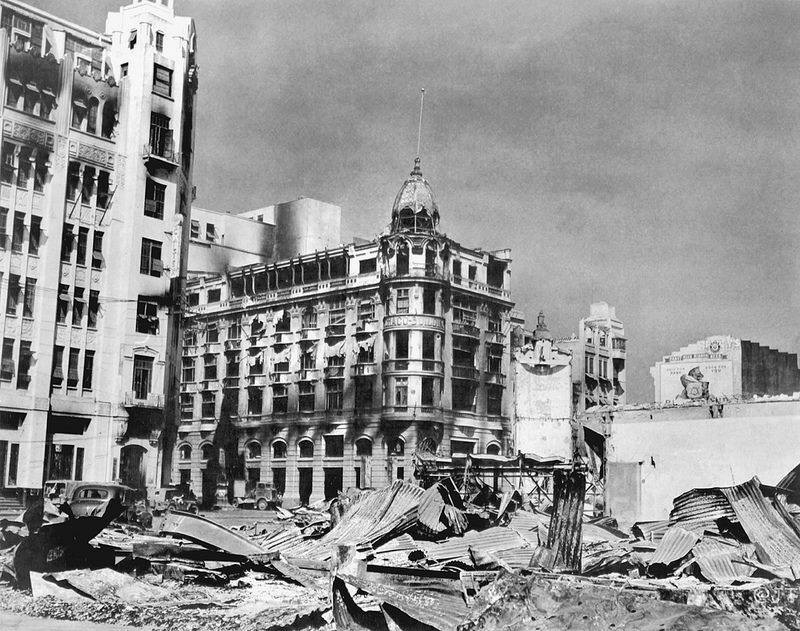 Escolta was a pile of rubble. So many beautiful buildings were destroyed including the Crystal Arcade and across the street was the Estrella del Norte at #46, now completely demolished. 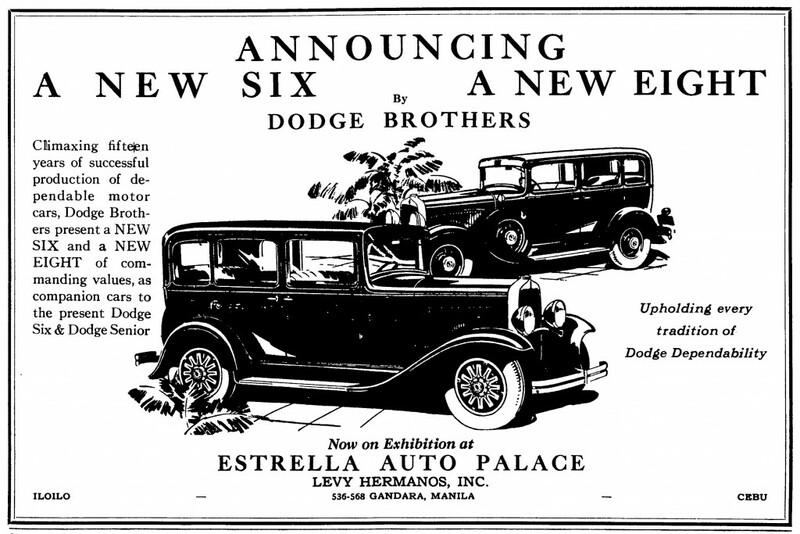 As reconstruction began, plans were made to build a new art deco-styled Estrella del Norte building. A site at the foot of the Jones Bridge in Plaza Moraga, formerly occupied by the Nipon Bazar before the war, was chosen. It stood next door to Kairuz, another one of my favorite department stores. I remember how excited I was to look at the boy’s bicycles at Christmas, hoping that somehow my parents would get the hint. 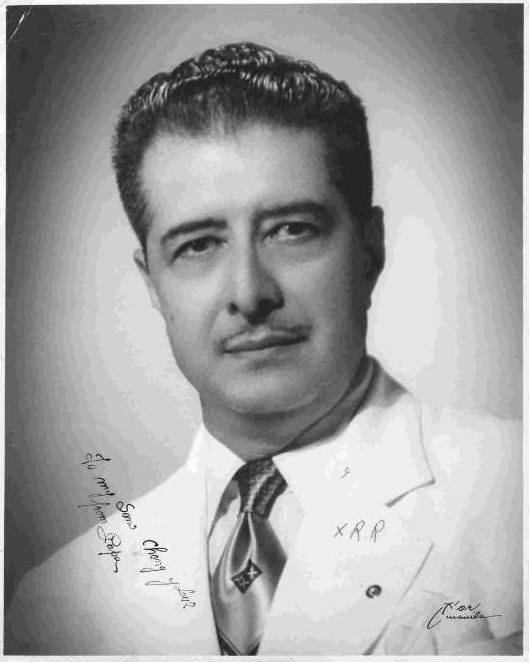 On a personal note, my great-uncle Dr. Eduardo Zaragoza was the medical director at La Estrella del Norte in the 1950-1960s. He passed away before I had a chance to know him. La Estrella del Norte – the Star of the North’s light started to dim in the Sixties as both businesses and homes migrated towards the newer and glamorous Makati suburbs. 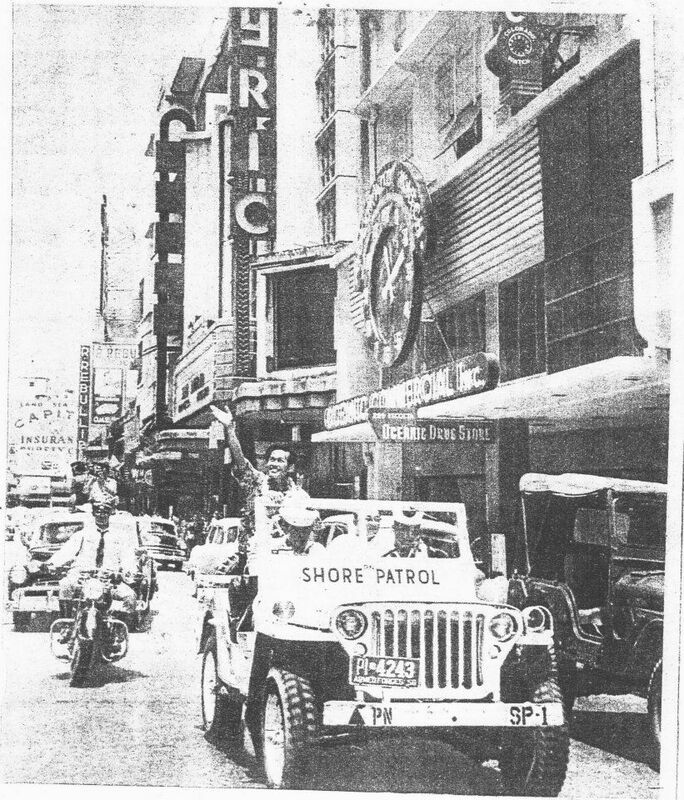 By 1961, the Savory Restaurant relocated from #20 Escolta which was just across the street, to the building of Estrella del Norte. 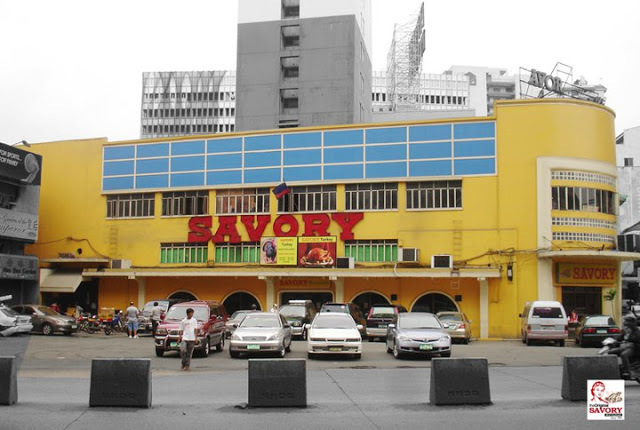 The Crystal Arcade, Botica Boie, Heacock’s, Alonzo, Estrella del Norte, Dencia’s Pansit Malabon, Berg’s, the Capitol and Lyric Theaters, Max’s Fried Chicken, Henry’s Donuts and other well-known establishments are now all gone. Although I understand there is a small Estrella del Norte store in Legaspi Village, Makati, but the Savory Restaurant is still around. And so, the holidays are almost upon us. I’m currently researching my next article which should come out around the first of December. I hope you found this blog interesting. If you haven’t seen my previous posts, check my blog on the right hand side for past blogs. As always, I welcome your comments or email me at: manilanostalgia@gmail.com – I’d love to hear from you ! Well written and very informative. I wonder if Patrick Blum – one of the founders of Blue Horizon Travel (one of the pioneers of the Philippine travel industry) is related to to the Levys. Thank you for sharing your research. Thank you for this wonderful article! I truly enjoyed it!!! I have very fond memories about my mom being so proud to have had her wedding ring from La Estrella del Norte!! What an impressive write up sir Lou Gopal! 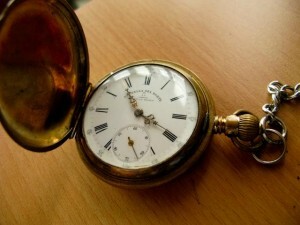 You sure know how to craft a timeless blog posts every time! Great pictures and well written…. please keep going! 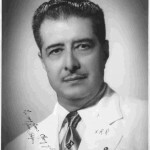 So Leopold Kahn was the father of Ernest and Raul Kahn, grandfather of Leo and Ernie. Never knew they had Jewish ancestors! Thank you for this very interesting article. I am sharing it with my first cousin who now lives in abroad. 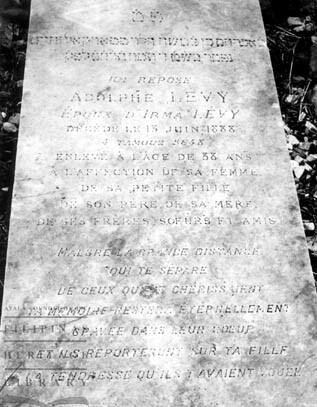 Her last name is Levy. She once mentioned that her husband’s family, like mine (Gaston) is of French origin and that their ancestors moved to the Philippines and founded La Estrella del Norte. Would it not be wonderful if she and her husband, could add pictures, vignettes and other miscellaneous details to your very informative articles. 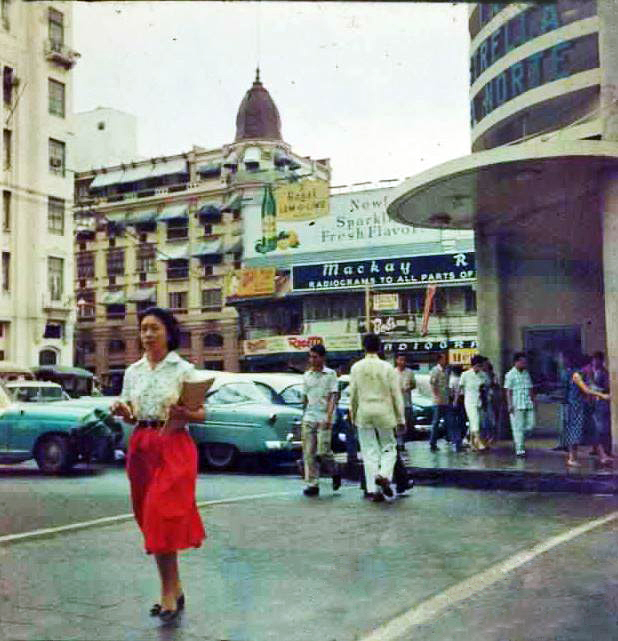 As a grade schooler in the late 50’s on vacation in Manila, I remember, walking down the Escolta with my aunt who worked in my uncle’s law office at Calvo Bldg. I do not quite recall if Botica Boie was on the ground floor of the building or merely nearby, but I do remember gleaming objects on display there or somewhere. Was there ice cream for sale at Botica Boie? Because you see, my memories of Escolta are all mixed up with me lapping ice cream and reading rented comics in sidewalk stands. (So I would not bother my aunt who was busy at work in the law office) A friend of my young uncle owned one such stand. His name was Nash Khan. Many years later when he was already a lawyer, he and my uncle visited my father and our family, and he told me that he supported himself as young man through that comic book stand. I wonder if he has any connection with the Khans you mentioned . (Of course I know Khan is a very common name among the middle eastern immigrants in the Philippines, but would it not be great if a connection can be made! I find the tracing back of families quite intriguing. As fascinating as doing time travel through history with storytellers like yourself. Thank you again. Lou my main man! This is a terrific article with a wonderful history of the store and its founders! I am hoping that one day you will publish all of your blogs into a book. Please put me on the list! Thanks buddy! As usual, a marvelous romp into the past. I really enjoyed this story of La Estrella Del Norte, and the people who made it into what it was. I used to hear so many stories of this store from my mother, Poppy Guerrero. 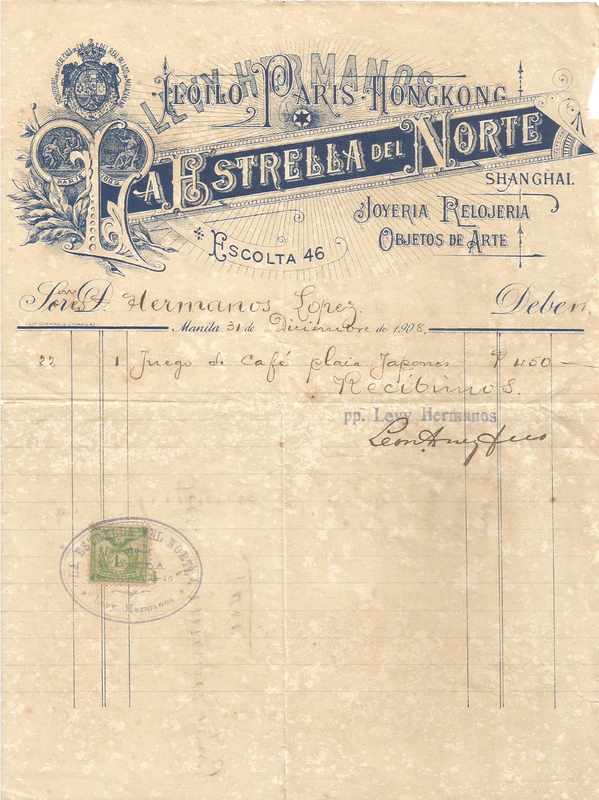 Her step father was Don Juan Lammoglia who opened his own store, El Meridian, also in the Escolta, at the same time La Estrella Del Norte was at its height. Thanks for this article, and I look forward to other future glimpses into the past from you. Sir Lou, thank you so much for the wonderful information and education! Cheers for your continued success and educating us here on Manila Nostalgia. Primo,enjoyed the additional information on this store. My dad’s sister and cousins worked there and my husbands cousin too. Please continue to share. My dad worked for Pan American which was across the street and your parents store further up. 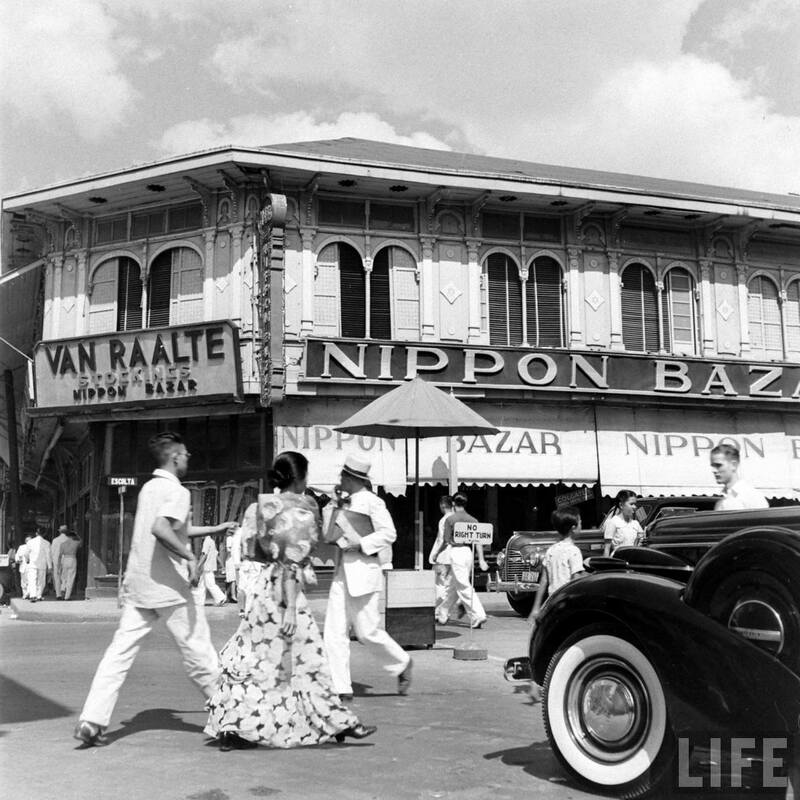 Hello Sir, I came across your blog as I was researching pre war photographs of Manila. Your blog is mesmerizing. I live in the USA and was wondering if I can ask where these pictures are available or if I might have your permission to reuse them. Hi Anna, you may download my photos directly from the site. Just please give credit to the source: Manila Nostalgia – thanks ! Fascinating, Lou…I really cannot fathom where you locate all this material, but thank you! So it sounds like maybe we can also partially blame La Estrella del Norte for the Manila traffic today? This is very interesting, even more so that I have just submitted a paper on the beginnings of the “Philippine adventure” of the Levy brothers. I have a few differences with you on the very beginning and their origin but you have a lot of information on the later stages which I do not know so well. I’m quite willing to exchange privately on these data. Eve (Adolphe’s sister) married to the other Adolphe also died in the Philippines (just as Adolphe who actually died during the epidemics). Eve was my father’s grandmother, and she had 2 children born in the Philippines. I am also trying to elucidate where and when Minette died and what was the name of her daughter. Thank you Joelle. I have updated the column to include corrections to Adolphe Levy’s history. Thank you so very much for this fascinating site. I will share it with my father who is now 91 and remembers the Japanese occupation only too well having spent years in the jungle with other freedom fighters as a young man. He never spoke of this when we were growing up and it’s only in recent years that we’ve discovered so much. Today being the anniversary of Pearl Harbor, he will find this particularly interesting. My mother worked at Estrella del Norte whose history you also feature. I can’t wait to read more! I always look forward to your articles on old Manila. My great grandparents purchased a Steinway grand piano from La Estrella del Norte in 1926 for our ancestral home in Malolos, Bulacan. My grandmother willed it to me and it is now in our home in Chappaqua, NY. Another masterpiece that onc again brought back memories that I had forgotten for decades! I think because I was a kid, I remembered the Army & Navy Club, Polo Club , school sports and social function at the A.S. Etc., but had not thought about the simple day to day things I did with my parents such as shopping in the Escolta, going to dinner at Max’s, movies at the Ideal, Galaxy, Gaiety etc.. Once again you have brought a flood of those memories back with this article and I thank you for that! Hi Mr. Lou! I really enjoyed much this Nostalgia Manila. I’m Boyet currently working here in Dubai, UAE as a senior shipping executive. I was born only in 1971 but during my childhood in the 70’s my father and mother used to bring me to Escolta for shopping. We still shop during the early eighties at Syvels. I dunno what was the former building that stood before on that same spot of Syvels. 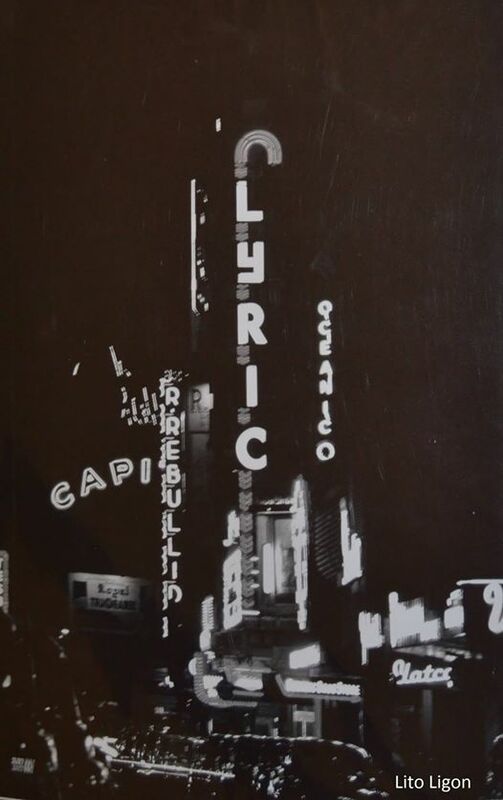 I remember seeing Capitol Theater and those old shops there. But those were the years that Escolta is slowly deteriorating. My mother when she was still a young lady used to work as a sales clerk at “THREE KINGS DRY GOODS” at P.Paterno St in Quaipo. I remember her stories that SM started as a small shoe store in Carriedo, which still there in 90’s and Cinderela was the contempory of Three Kings Dry Goods and Childrens Wear back in the 50’s. 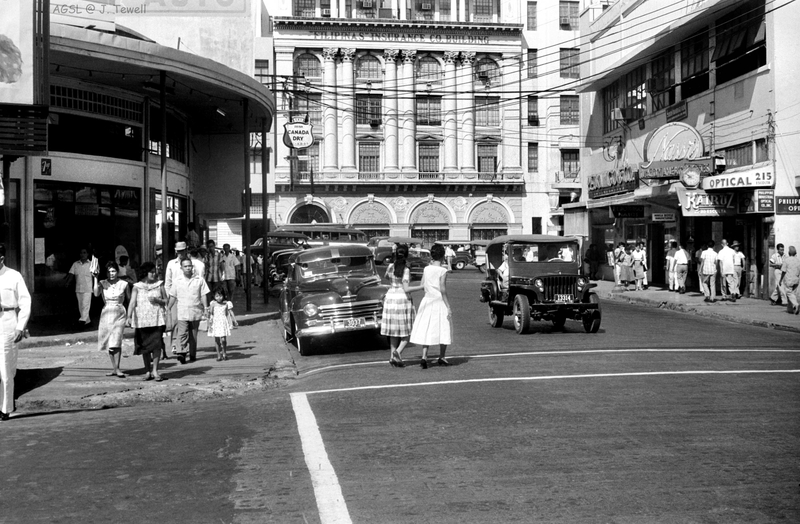 According to my Mama, Escolta, Carriedo, Avenida at Escolta was the posh shopping, entertainment and fine restaurants district before the advent of the big malls in Makati and Cubao. In 89-90 I worked at Three Kings in Paterno St. while i was studying in at PUPTS (the old school that was before as PCC. Also a historical spot where the 1st assembly after WW2 was held was also a former Japanese School) in Lepanto. Everytime my Lola Viring asked me to deposit the collections of the day to the banks in Dasmarinas and Ongpin, used I walk from Quaipo, passing Carriedo/Avenida to in and Escolta. but it was in 89-90 and the district is no longer posh. the place already lost it’s glory. So sad those historical buildings now stood in neglect, if not already demolished. I hope the Manila goverment will restore it’s fame and glory. Thanks again. Merci , monsieur Gopal for once again very informative piece of history…My grand father Pedro de los Reyes Fournier…worked for Hermanos Levy…in the car retailing division …until the 1960s..his father was a French emigree also Jean Desire Firon Fournier..from Marseilles France…he worked with the Manila Railroad..
BTW very sadly, the building totally burned down last April 23, 2015. I didn’t see any post updates except for Mr. Laplap who is abroad and probably unaware of what had happened just days before April 29 and that of Mr. Labutay’s Sept. 25 which didn’t mention likewise. I just passed by Escolta last week and the entire ground was cleared of fire debris. What we don’t know is if the owners will rebuild with the same old iconic architecture, which we think they should because they owe it to history or succumb to bigger business potentials and build a totally unrecognizable one that will rob us of our memories forever, if not for Manila Nostalgia. Whitegray, I would surmise that whoever owns that property would rebuild but would they design it like the old Estrella Art Deco style ? I wouldn’t make bets on that given the record of any rehabilitation of previous heritage buildings. Hopefully, it’ll be stylish in some fashion…not like the Jones Bridge makeover. I hear many people complaining about the Chinatown arch, the ugly lights on the bridge, the fact that the Capitol Theater building has been vacant and stands ugly to this day – but we can all hope for better things. kindof scared me. Anyway, the sales girls thought I was cute and they would let me come inside behind the counters and look at all the the jewelry. I was about 8 years old at the time. One day, out of curiosity, I pressed this button that looked like the buzzers they had at school, and after about ten minutes, all hell broke loose! Needless to say, I wasn’t allowed back in there. So I would go with my cousins or sisters to LR Villar record shop and listen to music in their little booths, have fun with the sales girls, dance and sing for them ( they would sometimes give us 45’s), and wander down to the department store to chat with the sales girls there and sneakily poke in all the pointy bras they had on display next to the sidewalk. Yes it’s so sad that the glory of Escolta is gone. Apparently there are squatters living in some of the buildings now that can’t be evicted because of some ” vagrant ” laws or something like that. I’m all for restoration of the area. There are some beautiful buildings still there. Very impressive work! Thanks for educating me the stories of our great nation! Proud Filipino!! I grew up in Grace Park Caloocan. Studied high school and college in UST in the fifties and sixties. I had the good fortune of seeing Sta. Cruz and Binondo districts particularly Escolta at their peak. There is a new and bigger Chinese Arch after the foot of Jones Bridge and before the olkd arch. The Savory Restaurant was gutted by fire about a year ago. There is no sign of reconstruction until now. I remember the Kairuz Bicycle store very well. Many buildings at Escolta are unoccupied or closed. My mom Maria Luz Gonzalez (Vahr) worked for Estrella Del Norte 1952-1955. Her Tita Victoria Larringa was the General Manager. I’ll find a picture of the employees at that time. Maria Luz Gonzalez was her maiden name. She is Maria Luz Bahr now. Hi Mr. Gopal, first of all thank you for publishing this great article. I am currently helping my dad do some research into our family lineage. You see he is the grandson of Abraham Weill. His mother (my grandmother), Concepcion Weill, and her siblings did not know much about their father because he passed away when they were very young. We don’t even know where or exactly when he died. Also, his life story is for the most part unknown to his descendants. This bit of history is very much appreciated. I wonder if it’s possible to know the references and source documents you used to research this subject. Any information would be greatly appreciated. Please email me if such exists. Thanks! Hello. I am a distant cousin of Maxime Levy-Hermanos. I am leaving in Paris, and I would like to contact the sun of Maxime and Selma, Robert Levy Hermanos (I understand that his sister Myriam, passed away in 2012). Would you by any chance have his adresse or e-mail ? It’s nice to read this great article of La Estrella del Norte were my father work as Jewelry maker and his name is Angel Vicente Sr. I have read the article and it reminds me of my father. I was 2 years old then when my father died year 1962. My mom always tell us that our father is good worker of that company. And now my mom passed away last December 24, 2016, I was curious of checking in google where my father works. Thanks, it was great moment for me because I missed my Dad and Mum. Hello! I work for descendants of Mr. Levy. You mentioned in this article that he was buried in Manila? How did you find out that he was buried in Manila? By any chance, do you have any information of where exactly he is buried / where the french tombstone is located? Your help will be greatly appreciated. Thank you! My father worked for La Estrella Del Norte as a Pharmaceutical rep based in Jaro, Iloilo during the early 60’s. He’s gone now and I’ve recently found letter envelopes address to him with the return address of LEDN Levy Hermanos, Inc. located in Escolta. I was curious to see if the company is still around so this is how I came across Manila Nostalgia. Thank you for this informative article. Thank you so much for the information Lou! Thank you and I truly appreciate what you are doing. 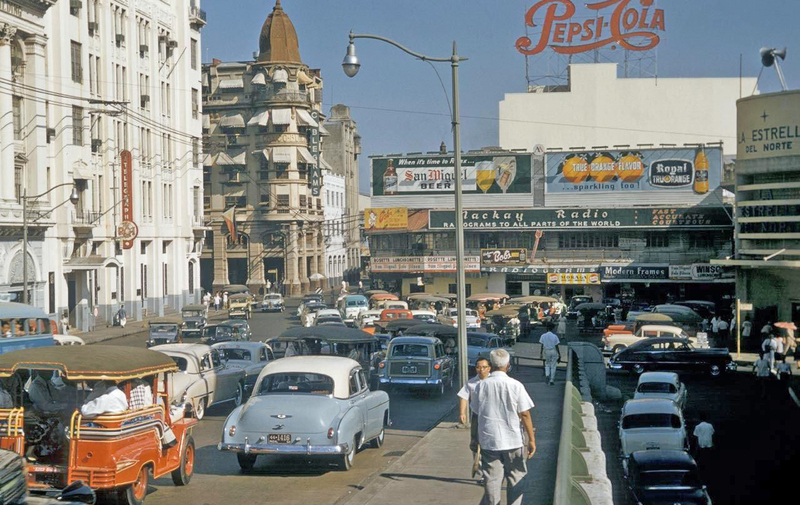 Although I am based in the United States now, I have my share of and connection to Escolta Street in Manila. I have worked in Madrigal Building directly opposite Lyric Theater. Might you have a source of information if Rebullida, Inc. is still in business? I am looking for a reputable watch technician with whom I and my family can trust with quality timepieces for servicing. I tried searching on line, but there isn’t much i could find. Your blog was the closest lead I came across. Before I close, I feel nostalgia for that feeling of pride when those who knew that I was working in Escolta chuckled. Having seen and read your blog, I am definitely going to visit the place on my next trip home. I am now in my early 70’s and since retirement spend half of the year in our homeland. Any information on Rebullida, Inc. from your readers will be greatly appreciated. I am so glad that I have discovered this fascinating information. My grandparents were Maurice and Aimee Kahn who lived in Manila from the 1920’s until the war and their daughter Marie Kahn was my mother. She was born in Manila in 1925 until she left in the fall of 1941 to attend school in the United States. Maurice Kahn was an executive at :a Estrella del Norte. My mother attended the American School in Manila and rode her horse at the Manila Polo Club. 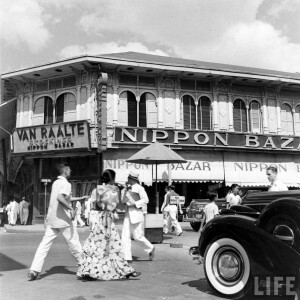 I would love to hear from anyone who may recall my mother or grandparents during their very happy years in Manila. After the war my mother and grandparents remained friends with Mr. and Mrs. Levy (Hermanos) when they lived in New York.